I usually wear contact lenses but it's nice to have a pair of fun glasses to wear as an option too. When Firmoo contacted me and offered a pair of prescription eyeglasses at no cost, it was a no brainer. I've never ordered prescription glasses online before but Firmoo makes shopping for eyeglasses online easy. They offer classic and fashion frames at an affordable cost, many under $40! I uploaded a photo of myself to virtually try on frames. Once I found a pair I loved, I entered my prescription and in less than two weeks, they were delivered to my doorstep. If you are in the market for new specs, check out Firmoo and give them a try! Now let's talk about this skirt, last seen here. I wore this over the weekend when the Hubs and I met friends out for drinks. The lounge we were headed to has a casual vibe but dressing during the holidays requires a little sparkle. What to do? I downplayed the skirt with a basic, striped tee and booties. I added the Chloe & Isabel earrings and necklace I won through a giveaway and a layered bracelet. 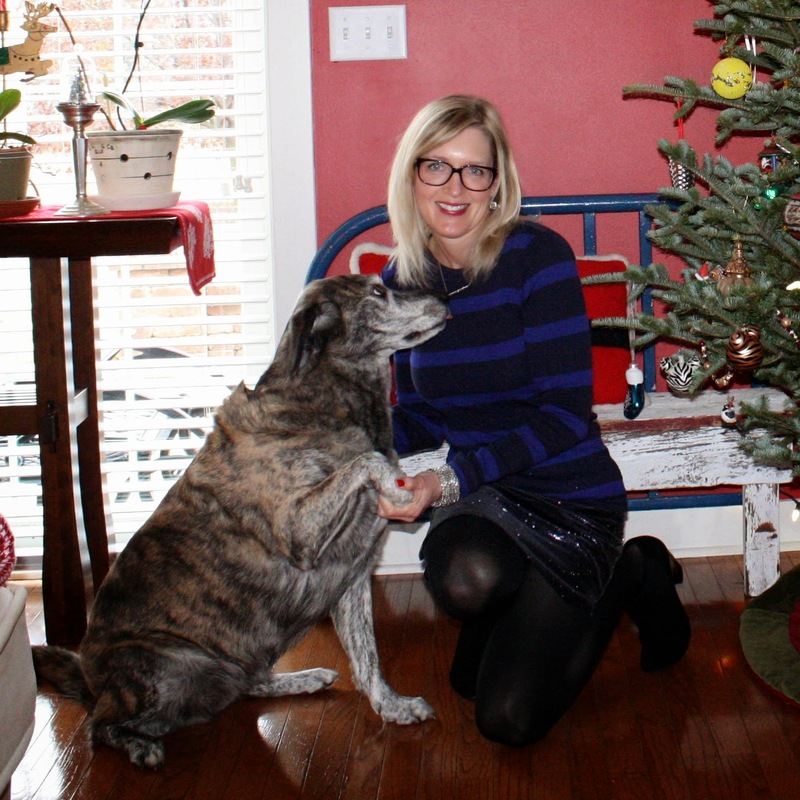 You look so pretty in glasses Jill and I love this holiday look!! That skirt is amazing and so festive definitely something you can get so much use out of. 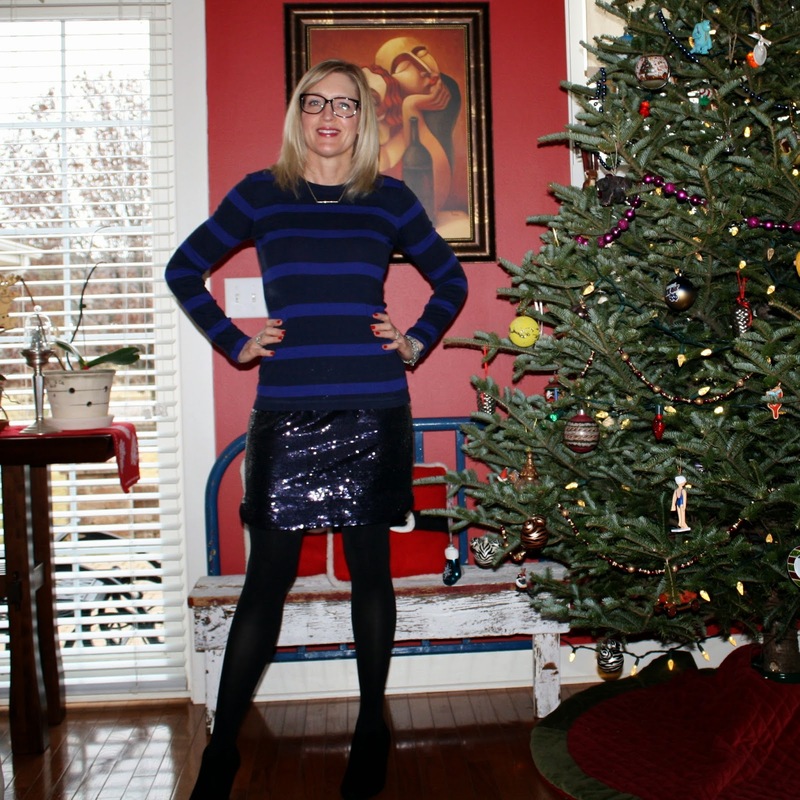 love the sparkle in you skirt and you look great in your glasses. i am in love with that skirt! So glad you got to work with Firmoo! Love the glasses on you. Your sparkle skirt is so fun. And what a sweet doggy! You look so cute in glasses! I'm a big fan of Firmoo, too. 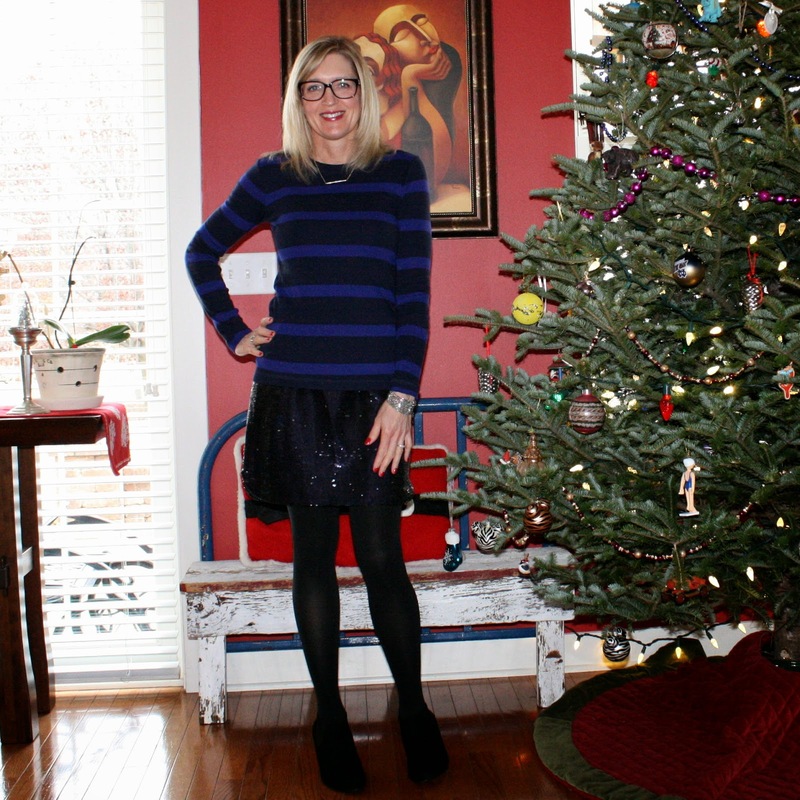 Love your outfit - that striped tee is perfect and the holidays are a perfect time to rock a sequin skirt! FABULOUS skirt! So fun! Love seeing your fur baby! Great glasses too. I need to try Firmoo! What a fun sequin skirt! SO pretty! You look absolutely amazing as always with such a style. Amazing look, i really love this skirt! Great job! Gorgeous! Love this sparkly skirt, you look so gorgeous! 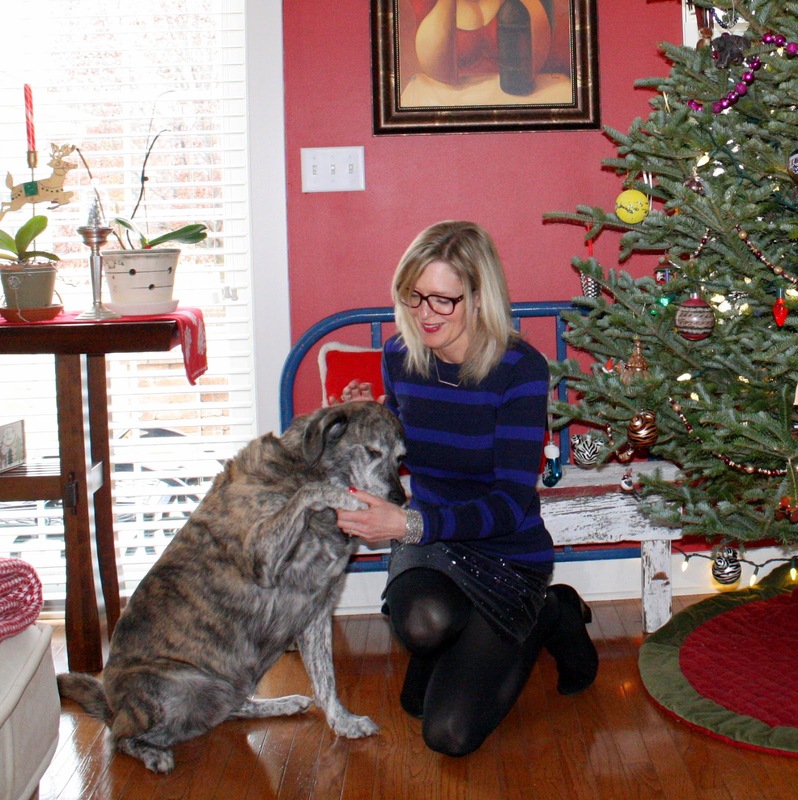 Love the festive skirt, but I love your pup even more! Awww! Your pup is adorable!! Love the navy sequin as a change to the usual golden/silver. Absolutely gorgeous festive outfit. 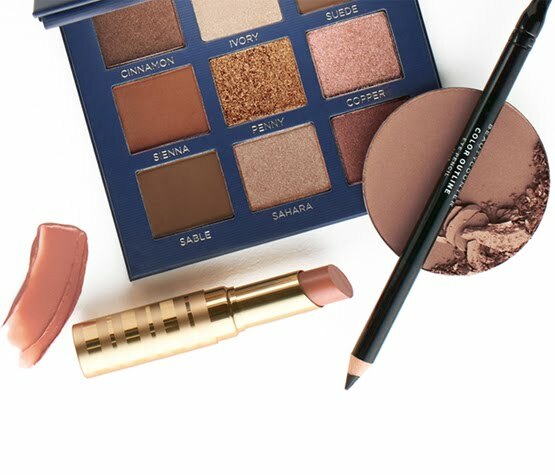 Such a cute holiday look! I'm loving those glasses on you! So cute! Love your skirt! And your pup is too sweet! Love your sparkly skirt! Perfect for the season! Your dog is adorable, what a cutie! HI! I am new to your blog. Love the shimmery skirt and the outfit. THe glasses are becoming on you. And of course your puppy! Aw you look so pretty. What a perfect outfit for a night out! Love the sequins and stripes! Great combo! Love this outfit with the sparkly skirt - perfect! Your dog is so cute! Hope you're having a great Christmas week! That skirt is so fun and the glasses look great! You picked some really cute glasses! The frames fit you so well! You are rocking this sequined skirt! The new frames look great on you, too. :) Happy holidays, doll! Thanks Ashley! Happy Holidays to You! Thanks Lana! Have a Merry Christmas! Thanks Jess! So glad you stopped by! Thanks Carrie! Have a Merry Christmas! Thank you so much! Glad you stopped by! Thanks Rachel! I'm heading over to check yours out! Thanks Audrey! She kept photo-bombing so I decided to include her! Thank you so much Cvetina! Thanks Dawn Lucy! I'll send you an email about that. Thanks Gina! Have a wonderful holiday with your family! Thank you Marta! Merry Christmas! Thanks Susan! It's the Pave Bar Pendant Necklace. Merry Christmas! You look adorable, Jill and super cute in glasses. Happy Holidays! Thanks Johanna! Hope you are enjoying the holiday week! Perfect Holiday look, I'm loving that sweater! Also, cute glasses amiga! Thanks Michaela! Happy Holidays to you! That skirt is so fabulous! I love the sparkle and those glasses on you! I love glasses and you look great in yours. I am a glasses girl myself! The skirt of course beautiful love all things sequin, and your furry baby too adorable. Great Post! how freaking cute are you?! I LOVE sparkles and that skirt is awesome on you!!! very pretty! I'm also loving the pup, so adorable! This is really the perfect holiday outfit!! Love that skirt!! And your booties! Great pictures!! Have a Merry Christmas Jill!! Thank you Mel! You need to have sparkle during the holidays! Thank you! She loves to get in the photos! You are too sweet Shaunacey! Thank you! Thank you Monica! Merry Christmas to you! Love your casual look! Anything with sequins looks amazing! Would you like to follow each other on GFC, bloglovin, Pinterest and like on Facebook? I usually wear glasses in the morning, it is more comfortable for my eyes. Pretty look! I love the sparkly skirt! Those glasses are perfect for you! And I really like the outfit as well. You're always adorable, Jill! Super cute outfit. Love your sweet pup, too! Thank Alina! I agree, sequins make everything look better! Me too! Hope you had a Merry Christmas! Thanks Danielle! So glad you stopped by! Thanks Leslie! She loves to photo-bomb! Love this outfit! The sweater and skirt are perfect! WOW! I remember a few posts ago you mentioned you may need glasses, well it is a good thing you do because they LOOK FAB ON YOU!!! Absolutely cool! 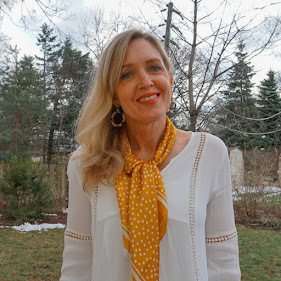 Thank you so much for linking this up to the #reasonstodress linkup, I loved having you as a co-host and would love to have you again in the New Year. Please let me know if you are interested and if you would like to be a part of a few special group giveaways I am planning!! Thank you so much Angie! 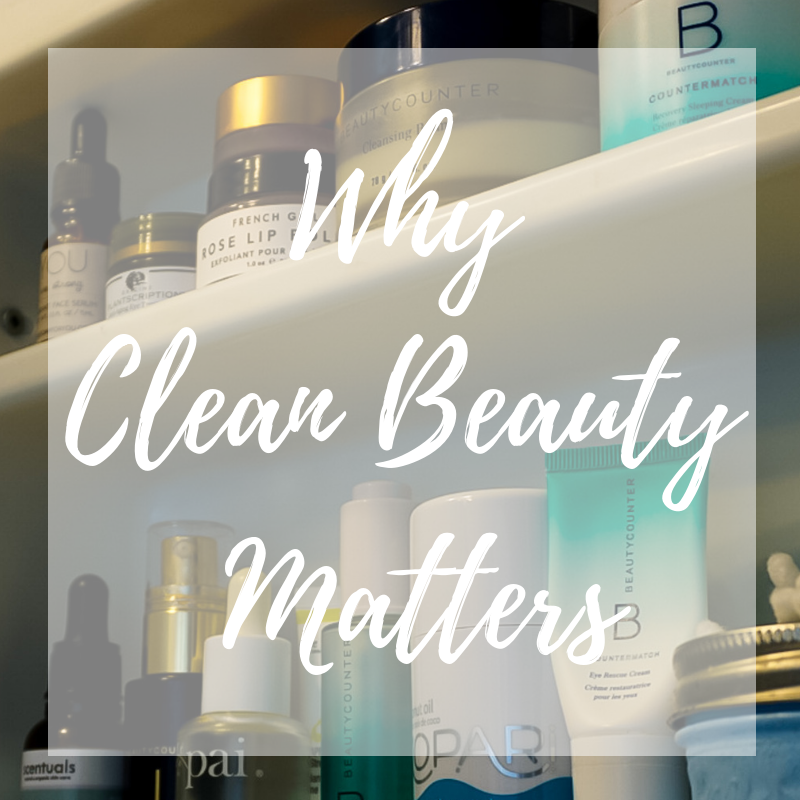 I loved joining you as co-host and would definitely be interested in being part of the giveaways! Hello, I was hoping you could let us know the model number of your excellent glasses from Firmoo.com. Also may I please know where your striped sweater is from? Hi Sam, the model # is F1016 and the sweater is from Gap. Thanks for stopping by! That really is such a festive skirt and it looks great down-played for a dinner out! Those glasses really look great on you, too! Love the skirt! And the glasses look great on you...I'm loving mine that I got from Firmoo. And how sweet is your fur baby? !